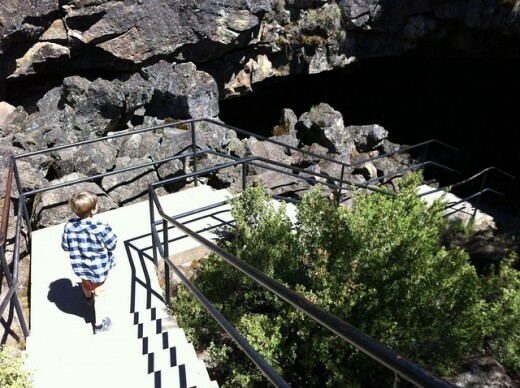 State and National Parks, and local historical attractions have always been a favorite destination for Liz; she loved sharing with her kids. 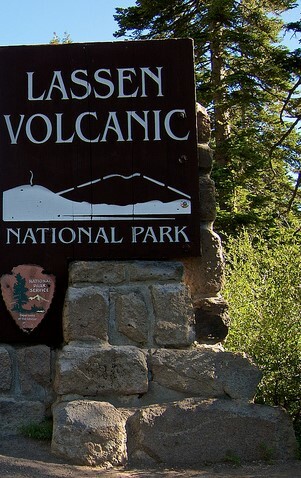 Located in northeastern California, the full name of Lassen National Park is a bit of a mouthful. Most folks just call it "Lassen Park" or "Mount Lassen," Lassen Peak being the namesake and most visible feature of this park. 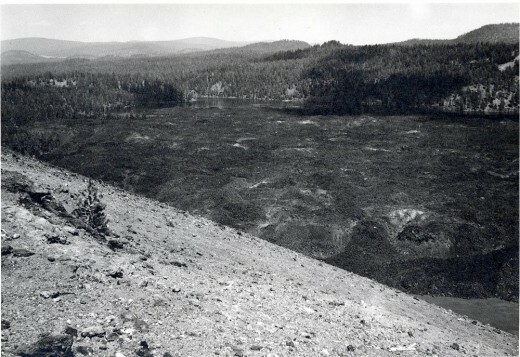 Lassen is at the southernmost end of the Cascade Mountain Range, and prior to the 1980 eruption of Mt. St. Helens, was the most recently active volcano in this mountain range. The area, as its name implies, is an active hydrothermal area. 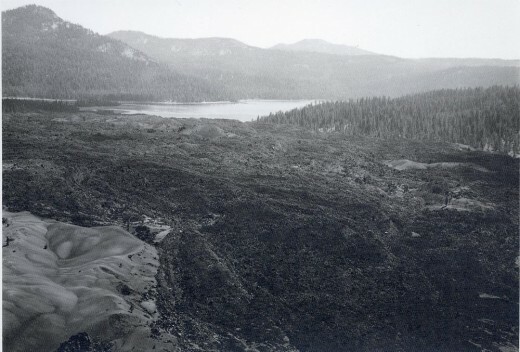 Lassen peak itself is still considered an active volcano, although it has been dormant since about 1915 when B.F. Loomis photographed the eruptions of 1914-1915. The museum within the park offers his historic photos for public view. 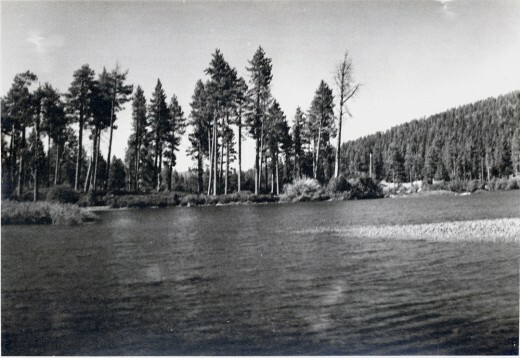 Elevations within the park range from about 5,000 feet at the lower campgrounds near Manzanita Lake, to about 8,000 feet at the summit of the park road, to 10,457 feet at the summit of Lassen Peak itself. Interestingly, the park began as two separate National Monuments dedicated by President Theodore Roosevelt in 1907. 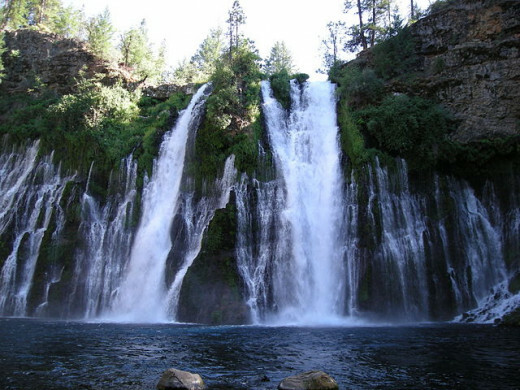 Lassen is located in northeastern California, about an hour east of Redding. I became fascinated with the local Indian lore of the park. Back then, there was the last remaining member of the Atsugewi (Atsugé)Tribe of local Indians, living as a permanent summer resident at the park, Mrs. Salina Lamar. Twice a day, she would sit in the shade of the trees in front of the museum, and give talks about their way of life. 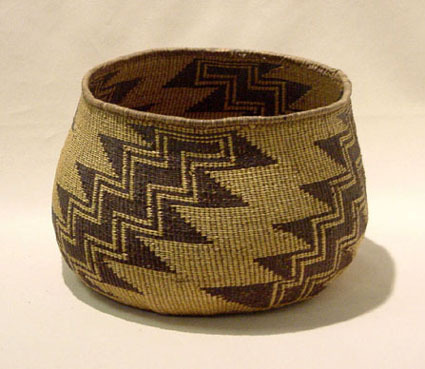 The Atsugewi were basket-makers, and she would demonstrate this skill as she spoke. I was enthralled. I remember how she would shock the crowd by mentioning cooking baskets. Cooking in a basket? But how? Surely it would catch fire! She would laugh, and explain that no, you did not put the basket on the fire, but you put a hot rock from the fire into the basket, and stir it around to keep it moving so there would be no 'hot spots' to burn the basket. When it cooled, you'd add a fresh hot rock, until the food was cooked. She had a wonderful sense of humor and would spice her talks with tales of her own childhood, and how she sometimes got into trouble with her parents. No different than kids of today! Descendants of the Atsugewi Tribe do still exist in Northern California today. Further information can be found here. Probably the most interestingly-named feature of the park is Bumpass Hell. It contains a large number of very active hydro-thermal features including boiling mud, boiling water "lakes," fumaroles (hot sulphurous steam vents) and assorted rough landscapes tinted with other-worldly hues from mineral deposits of one sort or another. The name originates from an explorer in the area back in 1864, by the name of Kendall Bumpass. His encounter with the area included falling into one of the boiling pools, which resulted in the loss of a leg. He concluded that he'd arrived in Hell, and so his name was given to the area. I've included links to a couple of You Tube videos of the area. It is nothing short of amazing. In addition to the alien-looking terrain, there is a notorious stench of sulphur in the air. It is not suffocating or choking, to be sure, but neither can it be easily ignored. You'll be in there for quite some time before your sense of smell learns to ignore it. 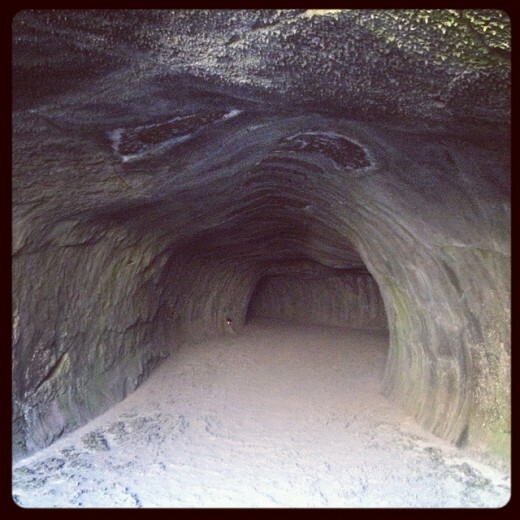 One of the features of the park includes the Subway Caves lava tubes. Lava tubes, unlike limestone caves and caverns found in other areas, tend to occur where streams or rivers ran at one time. The flowing lava from the volcanic eruption flows down the stream, much like the water itself, following the path of least resistance. As the outer crust hardens, subsequent flows may occur over the top, thickening the crust, and forming the eventual cave. What is especially unique about lava tubes is this: given that they follow streambeds, there are usually not too many branches or side-rooms, and it is nearly impossible to get lost within. Limestone caverns, by contrast, are formed by erosion from surface water, can cover many, many square miles, and have so many chambers and branches that getting lost inside is very easy. 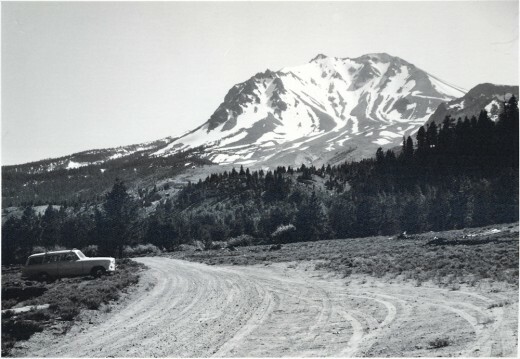 I recall our first camping trip to Mount Lassen when I was about 9 years old. We took a ranger-guided tour of the Subway Caves. I imagine there were perhaps 30 people in the group. Everyone was talking, the ranger was explaining features, and I inadvertently played the comic by virtue of a mistaken word. Having recently learned in school about the danger posed by avalanches, yet not fully understanding their nature, or probable locations, I whispered to my mother, "Everyone should be quiet and stop talking so they don't cause an anchovy!" 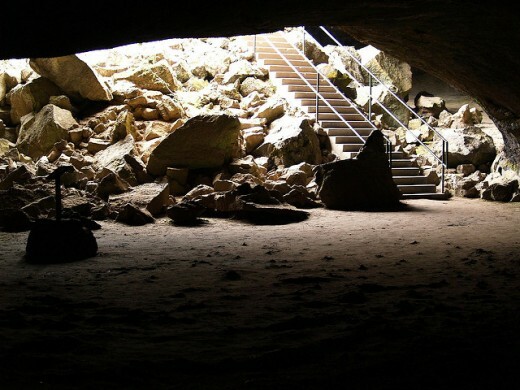 One unique feature of these caves is a phenomenal ability to transmit sounds. My whisper to my mother was plainly heard by the entire group. Everyone laughed, including the ranger. I did not understand why. Being very shy in those days, I was also very embarrassed at having unwittingly become the center of attention. Once the group was well inside the cave, the ranger extinguished his flashlight, and asked everyone else to do the same. There are not words to describe that level of absolute darkness. There is no 'waiting for your eyes to adjust.' They do not. When your eyes 'adjust' to darkness, they are adjusting to a very diminished level of light, be it the moon and stars, or a dim flashlight. Inside a cave, there is no extraneous light source, however faint. It is absolutely pitch black, and you simply cannot see. Even a cat would be unable to see that far inside a cave. Only a bat, navigating as it does by echolocation, can navigate safely. After several seconds, the ranger then lit a single match--just an ordinary kitchen match. It was almost as if a floodlight had been turned on. The initial flare of the match was almost painfully bright. 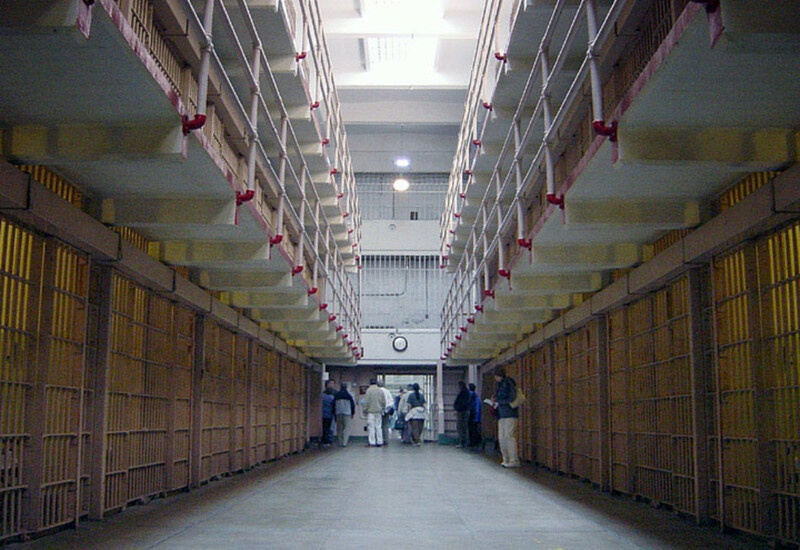 The walls and ceiling could be plainly seen, as could the faces and features of the entire group. On subsequent travels to various parks and caves of different types, I've learned this is a fairly standard device employed by the tour leaders. But the first time it is experienced is truly stunning. When I went to college as an adult, we had a geology professor who believed in seeing, doing, touching, over books alone. On one field trip, the group was gathered inside a cave, a short way from the entrance, so it was already fairly dim light. One of the group snapped a flash photo of the rest of the class, and that flash also seemed so much brighter than it ordinarily would. The professor dryly remarked, "You have to watch out for that cave lightning." Taken from the road out to the Lava Tubes guided tour. 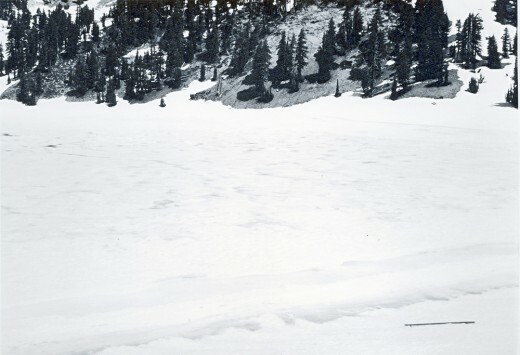 We first visited and camped at Mount Lassen when I was a child of about 9 or 10. 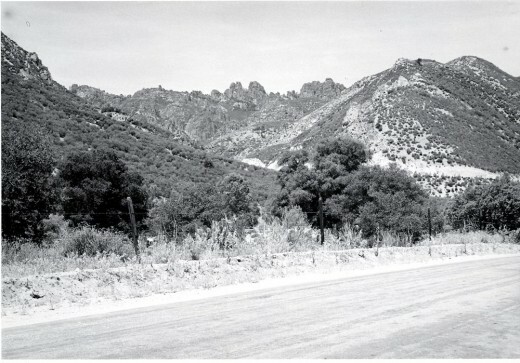 In those days, the stay limit at national park campgrounds was 2 weeks. No matter which park we were visiting, we would stay the full time, and use our campsite as a base of operations for explorations of all the various features the park had to offer. The park rangers loved us, for we would go in to the ranger's office, inquire about hikes and sights to see, then plot the day's or following days' activities. Upon our return, we would head back to the ranger station, talk to the rangers about how much we had enjoyed that particular hike, and ask for more. This is the way the national parks were intended to be used. 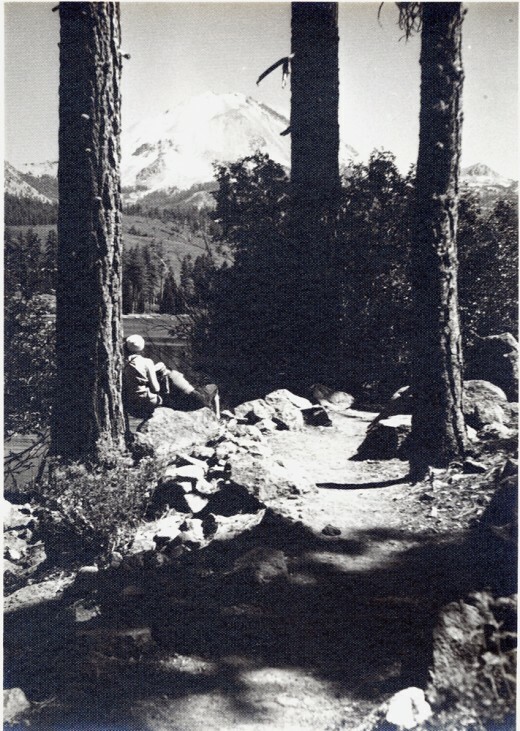 We traveled to many of the national parks on the western side of the USA during my growing up years, but Mount Lassen came to be our favorite--we visited several times: it became our 'home away from home' campground. My father was a great photographer, and also got into home movies. I have so many, many more photos I'd love to share, but they are unavailable to me now, though I have them in my head, of course. When we went camping, Dad would also shoot a lot of movie film.He then edited the film together into stories of the vacation. The single 50-foot reels became 300-foot reels showing all the things we did that trip. Sadly, the movies were shot on old 8mm movie film. In the 1950's and 60's, videotape had not yet been invented--or if it had, it was not available at the consumer level. So, while I still have all the movies, I have no means of sharing any of those wonderful pictures. It is very expensive to have 8mm movies converted to digital format such as DVD's. Looking back, I have to admire my father's stamina. 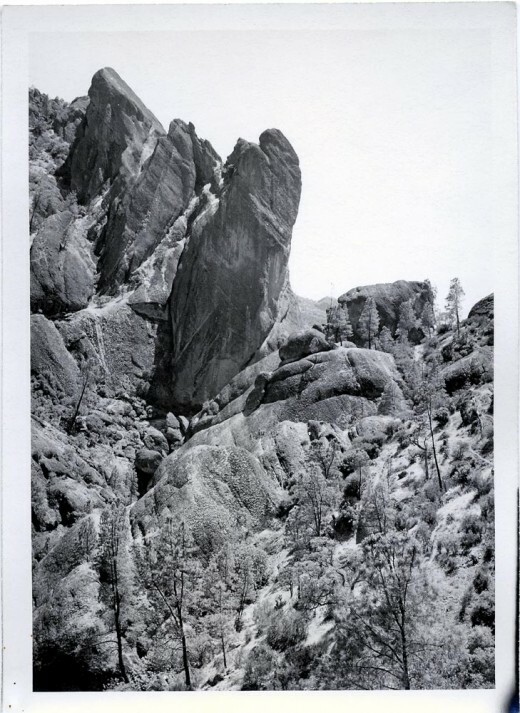 We would go on long hikes, and all the way, he would be toting his gadget bag with his still camera equipment hanging from one shoulder, and his movie camera from the other. These were not the lightweight electronics of today: they were mechanical with many moving parts, and metal, not plastic; they were heavy. Each camera bag probably weighed in excess of 10 pounds! Gamely, he strode along the trails. If he was tired, he never complained. You need to understand that my father was a good deal older than my mother--he was retired by the time I was in junior high school, so this is a senior citizen we are talking about, here. I do hope you all enjoy Dad's black and white photos I've included. 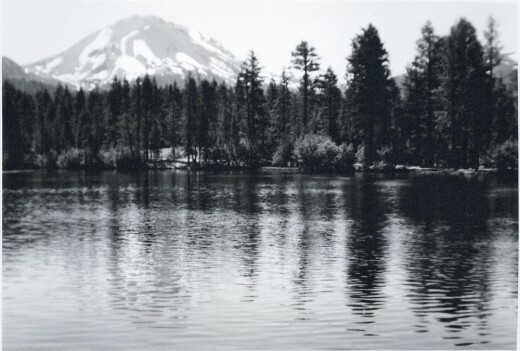 Mount Lassen as seen from across Manzanita Lake. This is my mom and I, pausing to enjoy the view on a hike on the Lily Pond Trail, which encircles Manzanita Lake. A beautiful lake, but frigid: it's pure snow-melt. As a child, swimming was fun; in later years, I found the water was so painfully cold that ankle-deep was far enough! 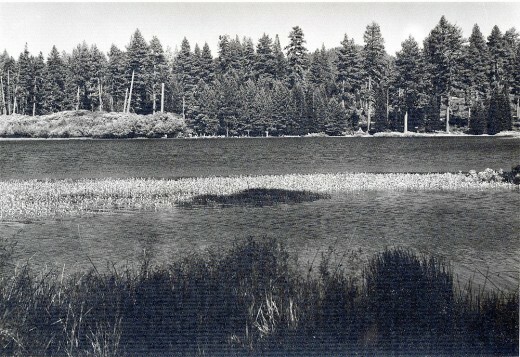 Another view of Manzanita Lake--it is quite large! Yes, there's a lake under all that snow! This was taken on June 28, 1961--one of the few of these photos that was actually dated! 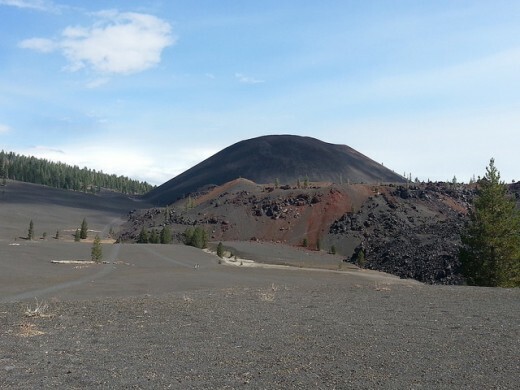 The name of this extinct volcano within Lassen Park describes both the type of volcano, and what it is like to climb to the top. 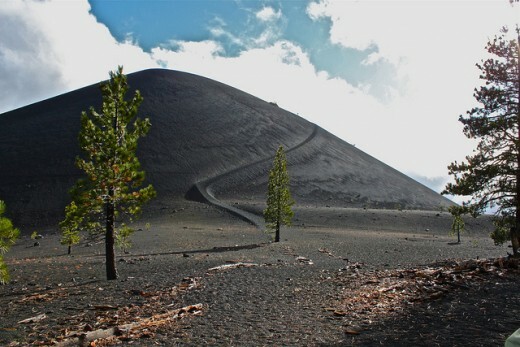 The trail to the foot of the peak is deep volcanic ash, and is like walking in dry beach sand; each step takes a lot more effort than walking the beach along the waterline, where the sand is packed, and almost resembles walking on a sidewalk. This leave you already a bit tired for starting the trip up the side of the cone. It is, as the name says, cinders. This is like walking in loose gravel, except you are heading up a steep incline. It feels as if for every two steps forward you take, you slide back one step. The round trip from the parking lot is four miles, and takes about three hours. You will go up over eight hundred feet in elevation. In spite of the fact that the trail curves around the side instead of going straight up, it's still a steep pitch. The hike up took about forty-five minutes. The trip back down, by contrast, took only fifteen! You are as much sliding as walking down, and you have to lean backwards a bit so as not to fall on your face. Once on top, the walk around the crater is flat and level, and the panoramic views spectacular. The painted dunes and Butte Lake are both visible from this vantage point, as is Snag Lake, from farther along the rim. (not pictured here). The main trail around is the outer rim; there is also an inner rim trail. For the truly daring and overly-energetic, there is a spur trail off the inner rim down to the crater floor. The going here is a lot like the trip up the main cone; loose cinder bits, called 'scoria.' This is lava that hardened prior to falling back to Earth. The start of the trail is through some forested area, but soon enough, it is all out in the sun, as is the cone itself. Be sure to bring and drink plenty of water. The Painted Dunes, seen from partway up the trail on Cinder Cone. These two areas in the park are just as they appear in the photos below. The hiking trails through these areas are difficult at best. They look jumbled, alright; these are huge chunks of lava blown out of the volcano in a powerful blast. We did not hike this area, due to my father's bad hip, and my young age at the time. The photos from nearby are as close as we got. However, it is easy to see what a challenging hike this would be, as well as the difficulty of actually seeing (and maintaining) any kind of real trail. Chaos Crags and Chaos Jumbles, a closer view. I've also visited many other National Parks, including Sequoia, King's Canyon, Grand Canyon, Bryce Canyon, Zion Canyon, Mesa Verde, and many state parks as well. I intend to write hubs about most of them, but for now, this, and my hub about Mesa Verde are the only ones. All the black-and-white photos in this article were taken by my late father, circa 1961. As his sole heir, the copyrights now belong to me. What a wonderful hub! Voted up and awesome. I will link to this hub. Thanks so much for all the votes! I'm most pleased that you enjoyed the article so much. Avalanche/anchovy--lol...all the same to a little kid just learning new words, I reckon! ;-) I do remember the embarrassment, and I guess I was grateful for the dim light, so no one could see me clearly. Carlsbad Caverns is one place I've never been to--always wanted to go; and Yellowstone as well, so you're ahead of me, there. Thanks also for the link; I'll link this hub back to yours, as well. I gave you all the up votes including funny for your anchovy memory. Cute! Lassen National Park sounds and looks amazing! The description of the fumeroles and bubbling mudpots reminded me of parts of Yellowstone and the pitch black darkness reminded me of Carlsbad Caverns when the guides did the same thing...extinguished all the lights. Quite a feeling! I added this hub link to the one I just published about the 8 national parks in California. It will be a great addition! It is one of two California National Parks I have yet to visit. 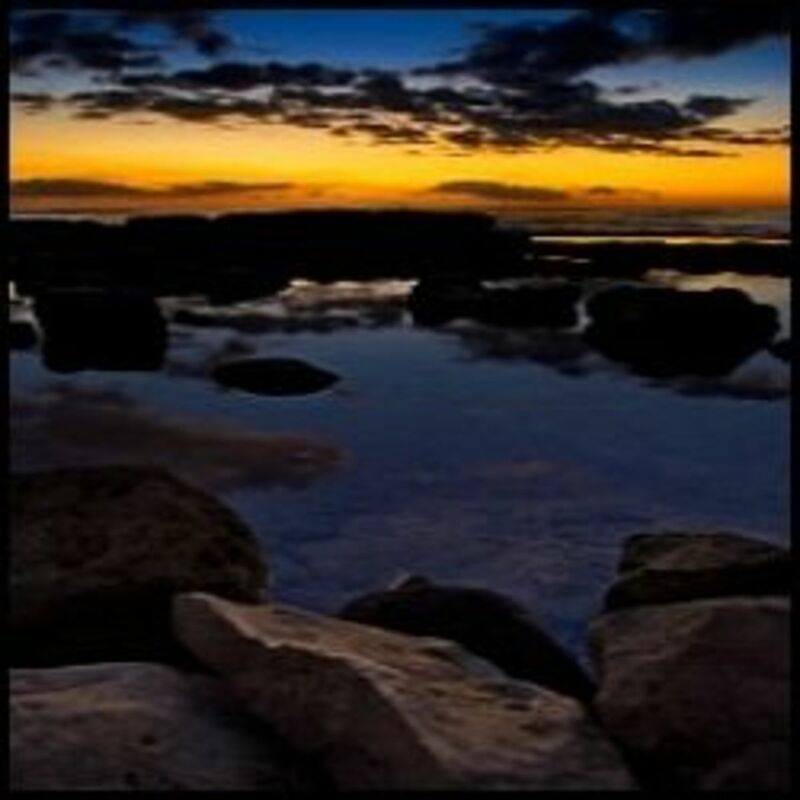 Thanks for writing this great hub and sharing your dad's wonderful photos. I like your hub! One vote up. And a useful impression from my part. Pretty wild! I'd love to see that! Great post DzyMsLizzy! Thanks for stopping by--glad you enjoyed the hub! I sure wish I could include my dad's movies! Yes, do come visit--it's a great park! 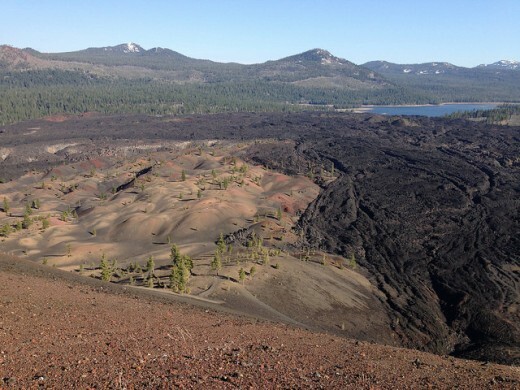 This is so cool to read about Lassen National Park! We live in Central Oregon, just north of a very active geologic region of the Cascade Mountains. Hydrothermal is big in Klamath Falls (2 hours south of us, and about 1/2 hour from the Calif. border). Loved all the photographs and great videos. 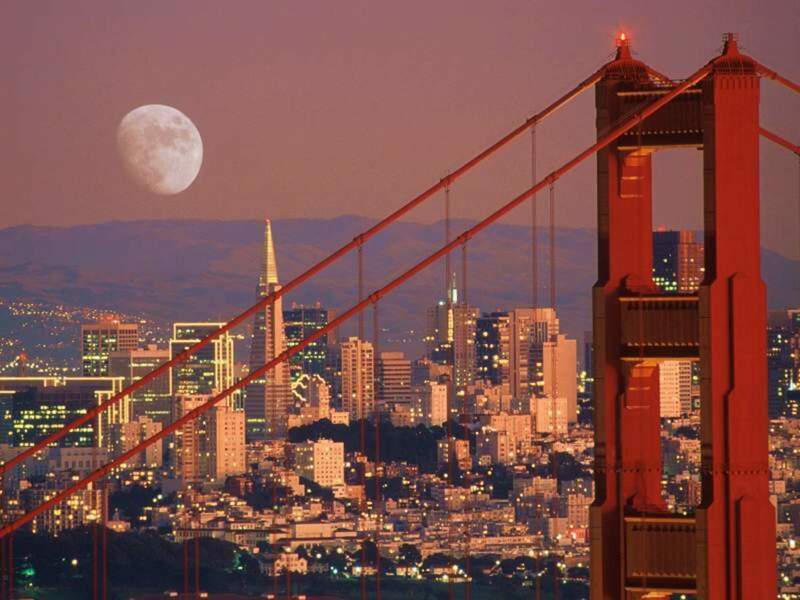 Thumbs up - and I cannot wait to visit. We are close enough for a road trip next summer.